This career change is exciting but also makes me feel a bit apprehensive/nervous. Public speaking was never my thing, but I joined Toastmasters back in November and have given two 5 minute speeches already. I think it takes courage to make big changes once you’re older and I’m proud of myself. I’m trying to get comfortable with being uncomfortable! To change the subject…an update on the care packages for the homeless that I made and distributed. I gave a pack to about 6 of my co-workers and about 10 other family/friends. So far, I’ve heard that two of them have been distributed to people at street corners. I’ve given out two of them. I was stopped at a light and there was a guy holding a sign that said, “Veteran…Need help.” He saw me rolling my window down and starting walking over with a smile on his face. When I said I had a care package for him, I could tell it wasn’t what he was expecting, but he thanked me. A guy came into the office (which is an old home in a semi-residential area) and was looking for donations for the shelter that he stays at…for people with drug/alcohol problems. He had a printed up card with the name, address and mission of the facility that he handed to me. I had donated $20 to a guy from the same place, a couple of years ago, who stopped me in a grocery parking lot. Anyway, I told him about my care package and he accepted it with a “thank you”. It’s fun to hear about how the others are distributing theirs and I can tell it makes them feel good doing so! Other than that, I’ve been making lots more recipes from Pinterest and am taking my new work-out clothes (from Christmas) to Sacramento to jog/exercise in while I’m there to keep my body and attitude in good shape! I’m excited about reading a new book I downloaded to my I-Pad to read on the planes, etc….”The Help”. I haven’t seen the movie yet and like everyone else, usually enjoy the book better than the movie. I’ll have lots of photos to post when I return and stories! Hope everyone has a peaceful, fun and inspired week! Isn’t it beautiful? 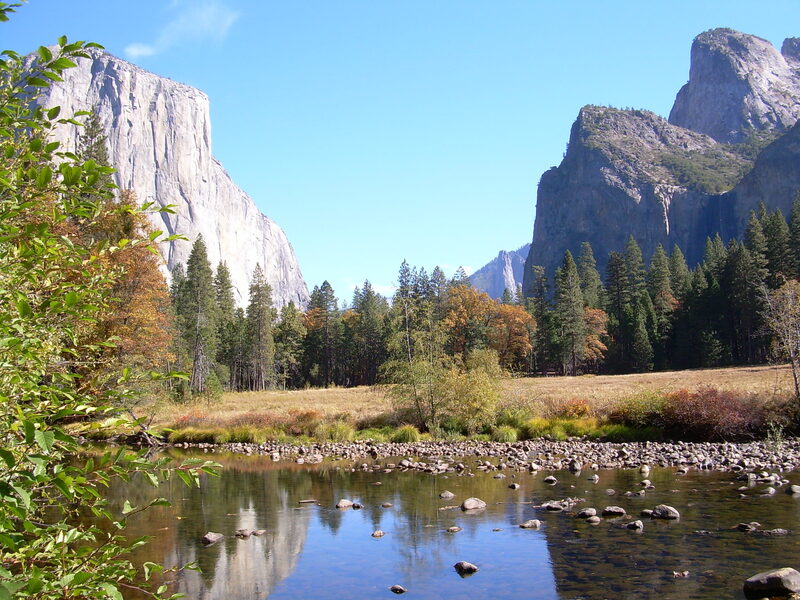 I went to Yosemite last August with my family I took so many pictures! it’s just breathtaking! Hope the interviews have gone well. I look forward to seeing more great pictures! Hi Karin – I went to Florida instead! Thanks for reading!! Beautiful photographs!! Sounds like you are enjoying your new adventure!! Wishing you good luck!! Thanks Trina! I had an adventure!! Good luck. It’s fun reading your blog. Thanks Pat…hope you enjoy reading the latest twist! All the best. California is beautiful, thanks for sharing. Well===I went to Florida instead!! Good luck on your newest adventure – you are an inspiration! I too have gone through many changes since I turned 50 – divorce, retirement, traveling on my own, going back to school for a time and yes, learning to speak in front of people also. And like you, I am beginning to get much more comfortable with being uncomfortable, it opens us up to many new experiences. Wow—we do have a lot in common! Glad you are growing!! Good luck with the interview–and congrats on your courageous new path. 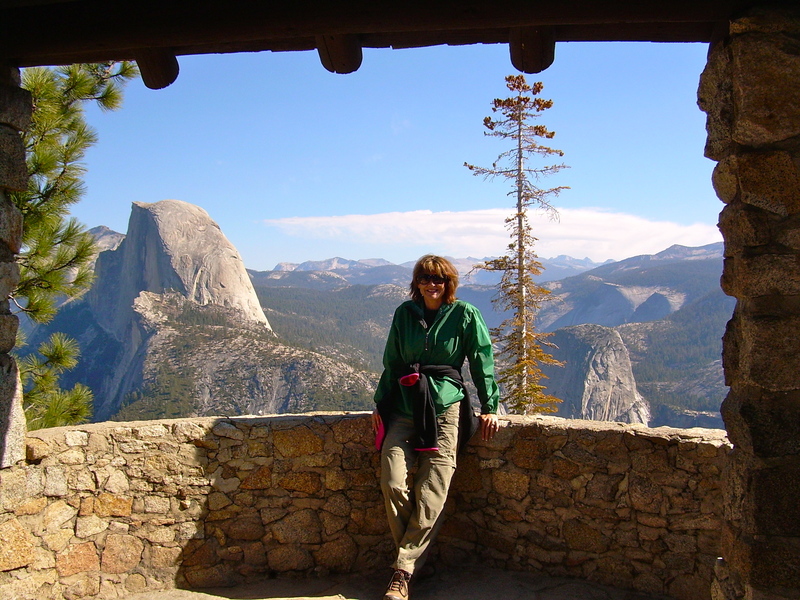 Thanks for the Yosemite photos–my favorite place! Well, one of them. I can almost hear you being my tour guide. BTW, I love The Help–and yes the book is better than the movie, but such is life. Thanks Patti—I went to Florida instead. I know–pretty crazy. The book was very good–I finished it today! I love every single thing you are up to! Thank you…but life gave me a twist. Read my new blog post! Hi—I enjoyed myself—but in Florida. Read my new blog post! Thanks! Good luck with the interviews and hope you enjoy Yosemite in the winter. It’s beautiful. Thanks…but I didn’t go…read my new blog post! Good luck! Have fun, too!